By Keina Chiu | Fluctuating Variances in production volume and tight deadlines are issues that SMEs often face. While robots could be the ultimate solution, existing industrial robots on the market often cost an arm and a leg – not to mention the daunting operational complications that make them unsuitable for small-scale businesses. In view of the demand for a solution, ROBOT3T began designing and manufacturing specialty robots that are not only easy to operate, but highly cost effective. Located in Ho Chi Minh City, ROBOT3T is one of the region’s most prestigious research and development firms in the realm of robotics and automation. Designing and building robotic systems using state-of-the-art technologies, ROBOT3T responds rapidly and flexibly to the emerging demands for industrial applications at SMEs in developing nations. Their R&D team is comprised of talented young researchers and highly motivated mechanical and electrical engineers who are excellent at embedded systems and software. Equipped with sophisticated configuration and mechanics, ROBOT3T robots are able to react swiftly to surging automation trends of industrial SMEs in developing countries. ROBOT3T aims to build a comprehensive robotics ecosystem for SMEs, using both hardware, software, and other controller mechanisms. More than that, their ultimate goal is to raise productivity and product quality with a complete, ready-to-use solution curated by cutting-edge technologies. 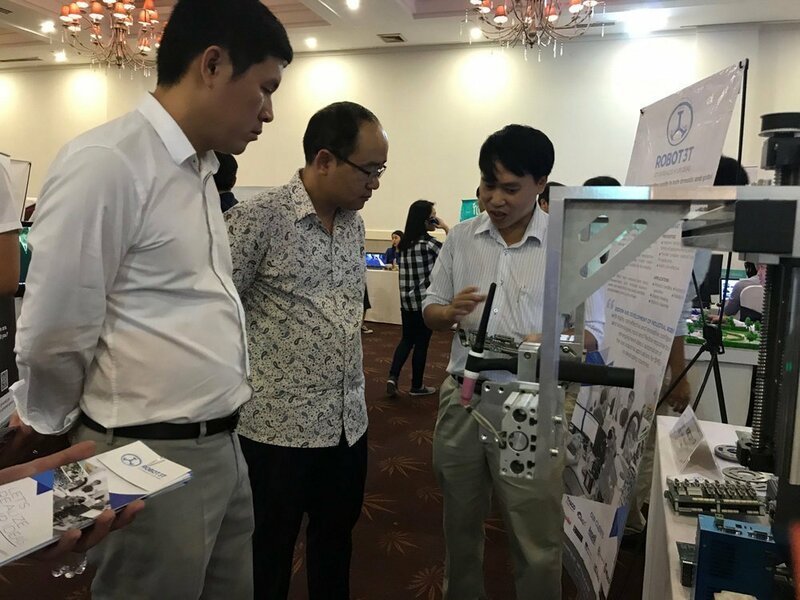 “The robot industry in Vietnam is still in its infancy, hence it is necessary for robotics companies and entrepreneurs to be well-prepared if they want to excel,” says ROBOT3T Chairman and CEO Trong Toai Truong. According to the lead scientist, this includes speeding up R&D to build a specialized robotics platform that eliminates technological gaps for industry around the world. “At the same time, it is necessary for us to work closely with companies and countries that are already well-developed in terms of the robotics field, as this will facilitate technology transfer and robot trading in Vietnam,” he adds. Currently, a lot of Vietnamese businesses hope to apply robotic technologies in their manufacturing practices. However, various barriers still hamper its effective application. Given the fact the number of robots deployed in Vietnam is still very low, most up-and-coming robotics startups possess great potential. 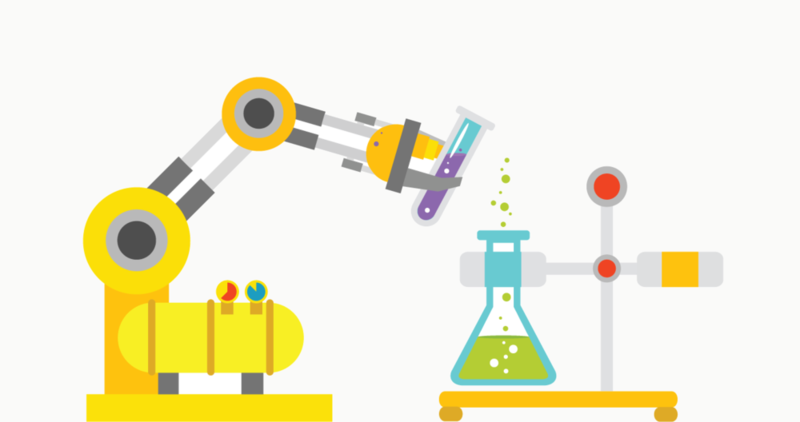 Often in the early stages, enterprises tend to prioritize robotics applications upon complex tasks, especially those involving toxic materials and chemicals, as well as others that require hefty manpower. As of now, ROBOT3T derives most of its orders from mechanical and heavy industries. It is undeniable that the market has colossal potential. A breakthrough is sure to be achieved in the foreseeable future. With the advent of rapidly developing artificial intelligence, the possibility to create highly intelligent robots has been tremendously elevated. However, there is still a long way to go for hardware technologies to catch up with the evolution of AI. Admittedly, replacing human labour completely with robots simply isn’t a viable option due to the fact that complexities in reality still call for the human touch. “Robotic replacement of workers in high-risk jobs is essential. Other than that, it enhances productivity and shifts an economy from manufacturing-based to service-based in the long run. Subsequently, economy will enter a whole new era that takes advantage of AI by immersing it within all areas of society including education, housing, medicine, and more,” says Truong. Expanding rapidly domestically and globally, ROBOT3T is now serving over 500 customers from 60 countries and territories. In 2017, ROBOT3T was named “Startup of The Year” and “Best Deep Tech/AI/Big Data Startup” at the Vietnam Rice Bowl Startup. They also attained a Runner-Up Prize at Startup Wheel 2017. 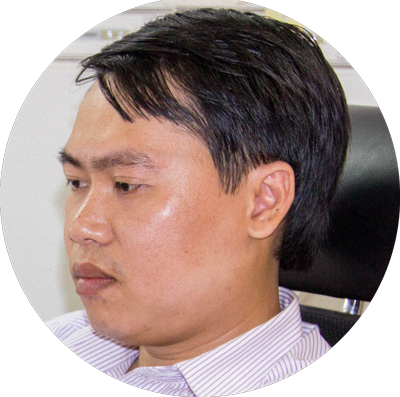 Trong Toai Truong is the Chairman and CEO of ROBOT3T, a Vietnam-based robotics company that has received over US$500,000 from the National Technology Innovation Fund of the Vietnam Ministry of Science and Technology, as well as the Ho Chi Minh City Department of Science and Technology. Truong has a BSc from the Department of Manufacturing Engineering at Ho Chi Minh City University of Technology and an MSc from Korea University of Technology and Education. He has completed more than 500 commercial projects in industrial automation and robotics.